Deciding between Organic and local dairy and produce can be a difficult decision. Foods with 100% Organic label are the only ones certified to be non-GMO and free of toxic pesticides/herbicides; on the other hand, local foods are generally more fresh. Regarding ‘Organic’ foods, it’s important to understand the different types of labels, which is especially important for processed foods bearing the word “Organic,” as they may not be 100% organic. 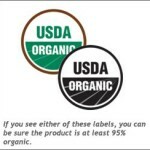 See my article on The EssentiaList: Natural vs Organic Labeling; see also Organic.org article: Certified Organic Label Guide (11). Another option is the “Certified Naturally Grown” and “Raised Organically” or “Organically Grown” labels. The latter two are commonly used by local growers who use organic methods, but can’t afford to pay for certification. Local vs. Organic: Which Is Better? So, you reach for the apples in the Organic box, thinking it’s better because it hasn’t been treated with pesticides. And there is merit in that conclusion; after all, pesticides are poisonous. But, there are other issues to consider, too. That organic apple probably came from Mexico or another Latin American country, not bad in itself, but unless that’s also where you live, that apple had to be flown or trucked all the way to your community. If could be weeks, if not month’s old (and food loses nutritive value if it is not fresh). And think of all the atmospheric pollution created by that shipping process. Think of the gas, diesel, jet fuel consumption, and the contribution to global warming. Now lets look at that local apple. It was probably picked within the last week–very fresh, and high in nutritive value. And only the farmer’s pickup was used to transport it to your store. The grower may have used pesticides on the trees, so it’s best to ask about his growing practices, which you can easily do at a Farmers Market, but can be more difficult in a store. It the spraying is minimal, for most fruits & veggies, you can scrub it with a good surfactant cleaner. There are many non-toxic food wash products available, or you can use-home made soap. However, be aware that some pesticides are “systemic” meaning that they are taken up by the entire plant, and are not just “on the skin.” Some foods such as peaches and cherries have thin skins, allowing applied pesticides to penetrate the food. But most local small farmers do not practice the extensive use of pesticides, making their foods still a better bet than Organic imported from South America or China. It’s best to shop around; you might find a local grower who doesn’t use pesticides. When you buy directly from a local grower, you know your food is fresh, and you can question the grower about his practices, and even tour his farm. This is the practice of growing a single crop over a wide area, and usually involves only one cultivar of that species, rather than growing different strains to protect against loss due to unusual weather and other conditions. Most large commercial farmers, whether organic or not, practice monoculture. But a dependence on large crops can have devastating effects when a single cultivar becomes susceptible to a pathogen, or when changes in weather patterns occur (think “dust bowl” of the 1930s). Monoculture also refers to the harvesting, packaging, warehousing and shipping of foods by large corporations, for distribution in supermarket chains such as Walmart, or even your local supermarket. We may THINK we are doing good by buying organic foods from stores like Whole Foods or Walmart, but these organic foods are part of the same monoculture farming system as regular supermarket foods. The only difference is that the ‘organic’ foods are hopefully grown using better, less toxic methods. But that difference is not enough; most organic produce is grown in a foreign country and shipped/flown/trucked to your Organic store, wrapped in a nitrogen environment to prevent spoilage. And all that transportation and handling time means the food has lost much of its nutritive value. One author says, “Where is the outrage at choosing between bad and worse?” (8) when comparing foods from the same monoculture system, whether they are organic foods (bad), or supermarket foods (worse). I couldn’t agree more. Real food is truly fresh, and grown locally, using traditional, organic methods. Period. You can see that perhaps that local apple is better for you for both health and environmental reasons. But the buy-local benefits go even deeper. It supports the local tax base for the education of your children, for example. If you too are in business, that farmer is likely to spend his earnings locally, perhaps even at your business. Neighbor helping neighbor. It is more sustainable, not only for the economy, but also for the health of the soil, our water supply, and our breathable air, than foods from the big-agro monoculture. What could be more earth-friendly than that? Refer to Diet for Health: Procuring Healthful Foods (links to my old site) for more on this subject. When you shop at your local supermarket, organic or natural foods store, or at your local Farmer’s Market, remember to bring a recycled paper bag. Or better yet, a natural fiber canvas bag (cotton, linen, hemp, etc. ), or a basket. When the checkout clerk asks, “Paper or plastic?” you can reply, “Neither. I brought my own.” For more on plastic bags, refer to my article: Procuring Healthful Foods (links to my old site). This entry was posted in Dairy, Fruit, Meat, Nuts and seeds, Veggies and tagged dairy, fruit, meat, veggies. Bookmark the permalink.